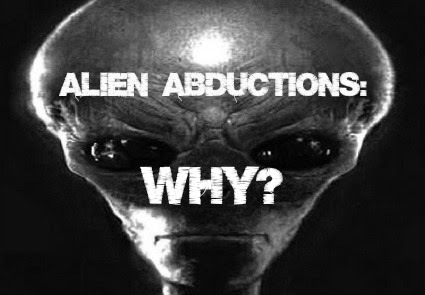 Why do aliens see the need to abduct earthlings? Professor David M. Jacobs is an historian and retired Associate Professor of History at Temple University specializing in 20th century American history and culture. Jacobs is also well known in the field of ufology for his research and authoring of books on the subject of alleged alien abductions. He has lectured widely, been interviewed, and participated in numerous television and radio shows on the subject of alien abductions. Jacobs believes alien abduction on humans have been happening to create alien-human hybrids who are walking all over Earth today and will take over Earth soon. At age 71, Jacobs has made investigations on extraterrestrial abductions as his mission. Jacobs, who currently working on his 5th book, was a professor for 36 years, teaching American history at Temple University before retiring in 2011. His first 4 books were printed by leading and academic publishers as he ensures to apply a scholarly approach to his research. According to Jacobs, he has talked with around 150 people who claim they were victims of alien abductions. In his own estimates, based on public polls, space aliens kidnapped over a million Americans. - Abductees have been reporting similar experiences and recalling common details, such as the mission to breed of human-like or insect-like appearance extraterrestrials. - People were absent physically during the time they were abducted and some loved ones or families claimed they saw them disappeared. - Sometimes abductees were taken in groups composed of people who never met before on Earth and shared their abduction experiences together when they met on Earth after the abduction. - People return with strange marks, scars or injuries in which Jacobs claimed he had seen himself. Contrary to David Jacobs' assertions, I have an opposing opinion in reference to alien abductions based on testimony and research I have conducted over the years. As many of you know, I have been involved with documenting the David Eckhart family encounters and abductions since 2008. Over that period of time, David has described many of the scenarios he witnessed while under the control of his captors...including human experimentation and disposal. The Eckharts are not the only alien experiencers I have interviewed and researched. One other multiple abductee described similar events they witnessed while in the company of these alien beings. The one claim, that I'm sure will be controversial and ridiculed, is that many of the abductees are related to an ancient line of hybrids. For thousands of years, I believe that these hybrids have been identified, hunted down and disposed of by various alien races. I also believe that world governments have been cooperating with this systematic genocide since the 1950's. The descriptions of abductees enduring heavily invasive experimentation (recounted as long deep incisions made in the back) and the ultimate disposal in huge, cylindrical-shaped incinerators bolsters my theory. The reason why these exterminations are taking place is not an easy one to pin down...but much of what is metaphorically described in the Book of Enoch may offer some clues as to why this is occurring. The term Nephilim, the offspring of the 'sons of God' and the 'daughters of men,' may be a broader representation of extraterrestrials combining the DNA of different species. The Bible states that the Deluge was the means of destroying the Nephilim. Who is to argue that some of these Nephilim survived and continue to mix among the modern human population? I may go into a deeper explanation at a later date, but I wanted to 'put it out there' for a reaction. I'd be interested in your thoughts? unknown entities with unknown purposes? It is probable that there is convergence between those humans who care only for MORE power,etc. I agree with the author that governments and gov't entities have been (and currently are) involved with beings not of this world - beings either from another planet and/or from another dimension. And I believe that these gov'ts are allowing things to be done to (certain) citizens of this planet. Are these citizens progeny of the Nephilim? Not real sure but it does seem that certain individuals are experiencing something. And not just once but repeatedly. I also find it odd that the individuals who have had experiences of the alien/paranormal kind also find each other. And not through social media sources. I would be quite interested in further thoughts/explanations/hypotheses.